The EPA promotes Americans to reduce, reuse and recycle. Reducing means using less waste, like using reusable bags rather than plastic bags. Recycling turns waste material into valuable resources, such as recycling plastic into new plastic products. Reusing is a way to turn trash into another useful item. Turning old trash into a science experiment about drag and friction is a good way to educate students about reusing trash while learning important physics concepts. A balloon-powered trash car is a simple and effective project for middle and high school students. Design your own car from a trash box, such as a tissue or cracker box. Keep in mind physical issues of drag and resistance. The goal of this car is to move the most efficiently, which means it will go fast and for a long distance with the power of the balloon. Cut your box into a design that will be most aerodynamic. An example of a winning car at San Diego's Correia Middle School in 2007 was a tissue box cut in half horizontally. Glue one tire onto each of your skewer sticks. Tires can be any found circular objects, such as CDs and bottle tops. Allow the tires and axles to dry properly. Create an axle hole on both sides of your trash box car for the front wheels . Push your skewer stick into the holes and glue the other tire onto the free end of the skewer stick. Repeat for the back wheels. Allow for them to dry completely. Push your scissor tip into the back center of your trash car. Cut a small hole for your straw. Cut your straw so that it is about 3 inches long. Place the cut straw into the newly cut hole. Be sure it is a tight fit. If it isn't, add duct tape or glue to the hole. Secure your balloon on the end of the straw that is inside the car. Insert another straw inside the secured straw to blow up the balloon. 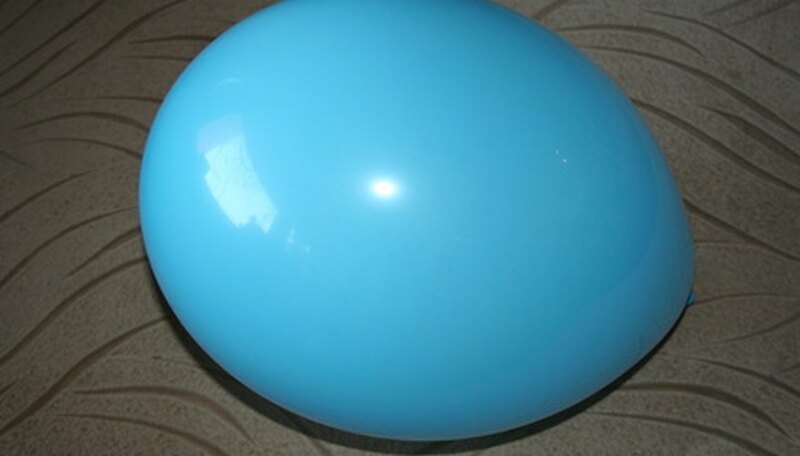 Hold the balloon near the straw hole to prevent air loss in the balloon and place your car at the start. The back of the car is where the balloon hole is. Let go and your trash car should drive off powered by the air. Experiment with different boxes and designs. Using different material and added spoilers will give different results. Ask students to explain the results. Use graphs to analyze data. Allow some trial runs before the big race to make sure the designs are sound. Use caution when working with sharp tools around young children. Chow, Charong. "How to Make a Trash Car That Will Move for a School Project." Sciencing, https://sciencing.com/make-car-move-school-project-7624504.html. 25 April 2017.